•	1,494 cc four-stroke, Rotax with three cylinders in-line and four valves per cylinder Equipped with Advanced Combustion Efficiency (ACE) technology, this new engine with maintenance-free supercharger and external intercooler is optimized for regular fuel, faster and more powerful than its predecessor, but just as fuel efficient. •	Closed-Loop Cooling System Uses coolant to keep the engine running at the ideal temperature, much like a car''s radiator. Also keeps out corrosive saltwater and debris. 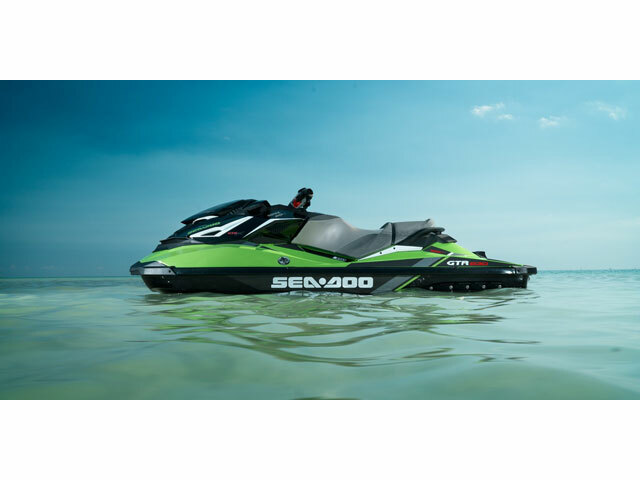 •	D-Sea-BeI™ system Combines a series of resonators and vibration-absorbing components to make Sea-Doo watercraft some of the quietest on the water. 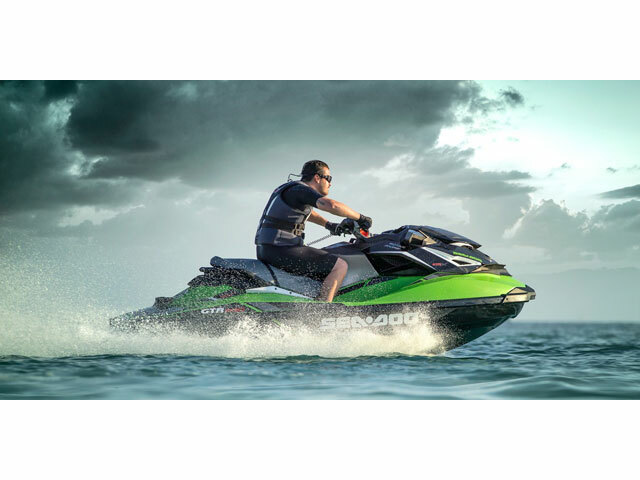 •	iControl® Learning Key® The programmable Learning Key allows you to limit the performance of the PWC based on rider skill-level. 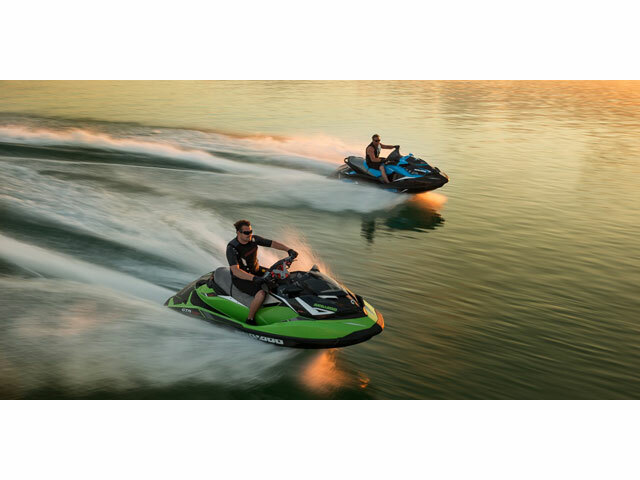 •	iTC™ (Intelligent Throttle Control) system Operating electronically, this advanced throttle system starts you in neutral for easier dockside starts. It also features activity-specific Touring, Sport and ECO™ modes that can all be set to accommodate your riding style. The result is a more responsive, more intuitive ride. •	Stainless steel impeller Delivers improved acceleration, higher top speed and less cavitation. •	iBR (Intelligent Brake & Reverse) system First and only true brake on a watercraft recognized by the U.S. Coast Guard for improving boating safety since 2009. Now in its 2nd generation, the intuitive and improved iBR allows you to stop close to 160 feet sooner1 for greater peace of mind. All with the squeeze of a lever. And with its electronic reverse, it gives you a level of maneuverability that makes docking easier. •	ECO mode This iTC function automatically determines the most economical power delivery and sets the optimal RPM for greatest fuel economy. •	Ergolock system Combination of ergonomic features allow amazing control while cornering with less upper body fatigue. It features a narrow racing seat with knee grab design, adjustable handlebars and angled footwells that allow you to "lock in" when cornering hard. This results in faster turns and more time on the water. •	High-performance VTS (Variable Trim System) The VTS adjusts the angle of the nozzle to change the behavior of the watercraft and improve parallelism to the water. The high-performance VTS provides pre-set positions for quick settings. •	Off-Throttle Assisted Steering (O.T.A.S.®) Provides the operator with additional steering effect in off-throttle situations for greater maneuverability. Interactive Multifunction Digital Information Center VTS preset, Fuel consumption instant & average, Fuel level, Tachometer, Speedometer, Hour meter, Compass, Clock, Touring mode, Sport mode, ECO mode, F-N-R indicator and more. •	RF D.E.S.S.™ Key With radio frequency technology and a ball-and socket design, the Digitally Encoded Security System (D.E.S.S.) key provides riders with easy and quick starts every time. 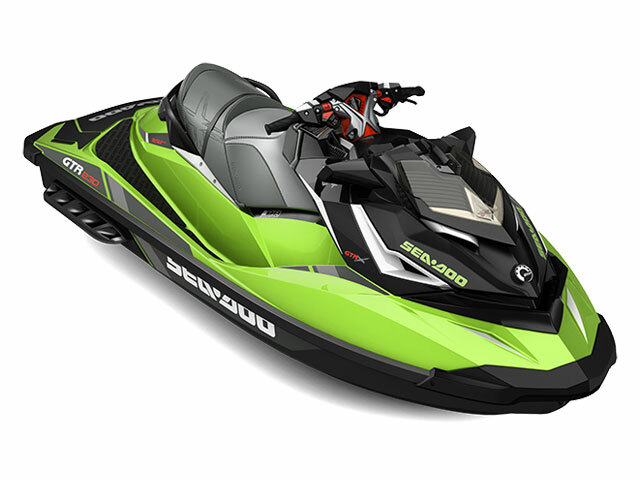 •	Touring mode / Sport mode Offers a choice between two throttle responses for different riding styles. Touring mode is the default setting offering a more progressive acceleration curve for a more confident ride - ideal for cruising and 2-up riding. Sport mode can be easily activated using the Sport button. It provides all acceleration performance for a more aggressive throttle response. •	iControl The "Brain" that integrates and controls all systems to create the best possible ride. •	Additional gauge functions Time / Distance to empty, Top / average speed / RPM, Lap timer, Engine temperature. •	X-Gauge with boost indicator Shows the boost pressure in real-time from minimum (idle) to max boost pressure (open throttle) at all times so the rider knows the engine load condition. •	X-Handlebars with A.E.S.™ (Adjustable Ergonomic Steering) The only fully adjustable handlebar in the industry. With A.E.S. the rider can adjust the handlebar width and grip angle for a fully customized ride.